The ceremonial announcement of the polls took place on 22 March 2018 in the House of Culture and Rest of Jihlava. Our company has been the general partner of the event for several years. The director of Michal Janouškovec handed over the best coach award. The guide of the whole evening was a popular moderator Vlastimil Korec. 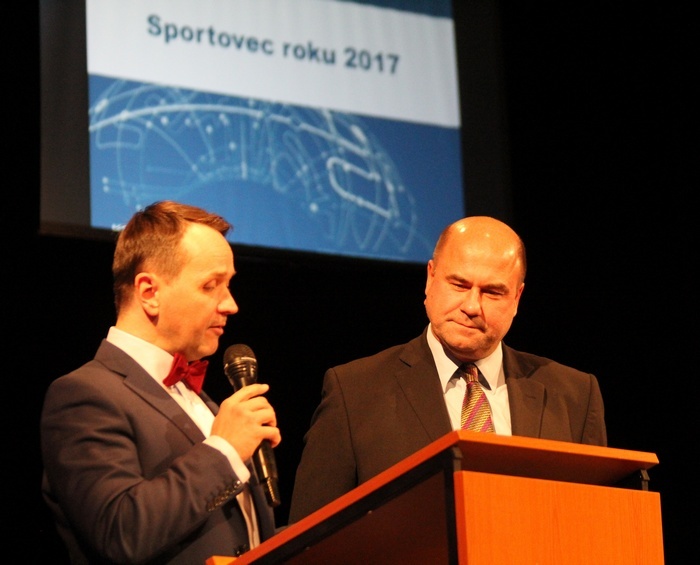 The results of the Survey of the Children´s and Young People´s House, Reading Surveys of Jihlava´s Leaves, the Mayor of Jihlava Award for Sport Benefits were announced, and finally the visitors were acquainted with the results of the Jihlava Region´s Best Sportsman Survey. The accompanying program was performed by the singer Anna Julie Slováčková, the dance group Nart dance school, Elvis club and Chrisstar, and the Bohemia show group performed by acrobatic art. 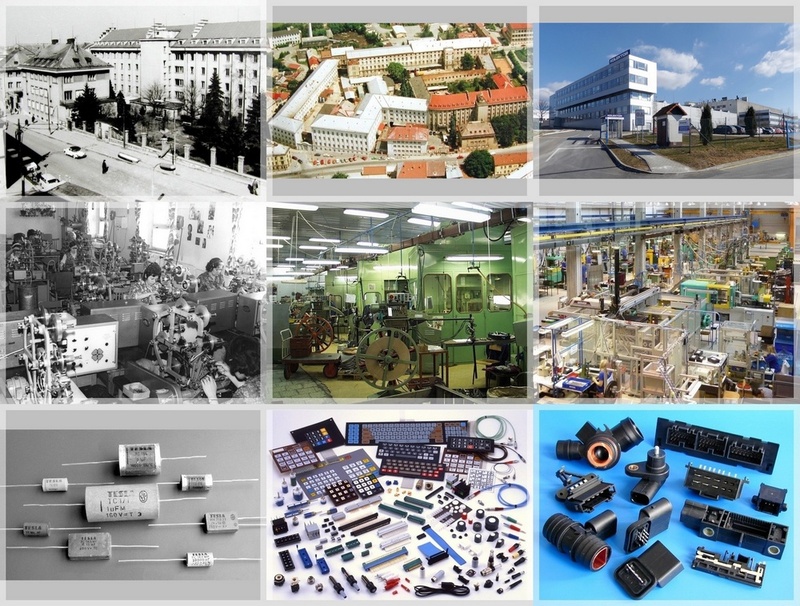 TESLA Jihlava was established on 1.4.1958 and it launched production of roll-type and suppressor capacitors in the buildings of previous tabacco company. Since 1967 it has become as specialized manufacturer of constructional parts for electronics in the whole corporation of TESLA companies. In 1992 our company passed through the privatization, it had to limit the large production assortment impact over the giant influx of foreign competitive companies and fast development of technology, for which the original parts became out of dated. This was the reason why the activities of our company have been focused on the field of assembly for foreign customers and gradual obtaining of suppliers of electromechanical parts for automotive and electronics. 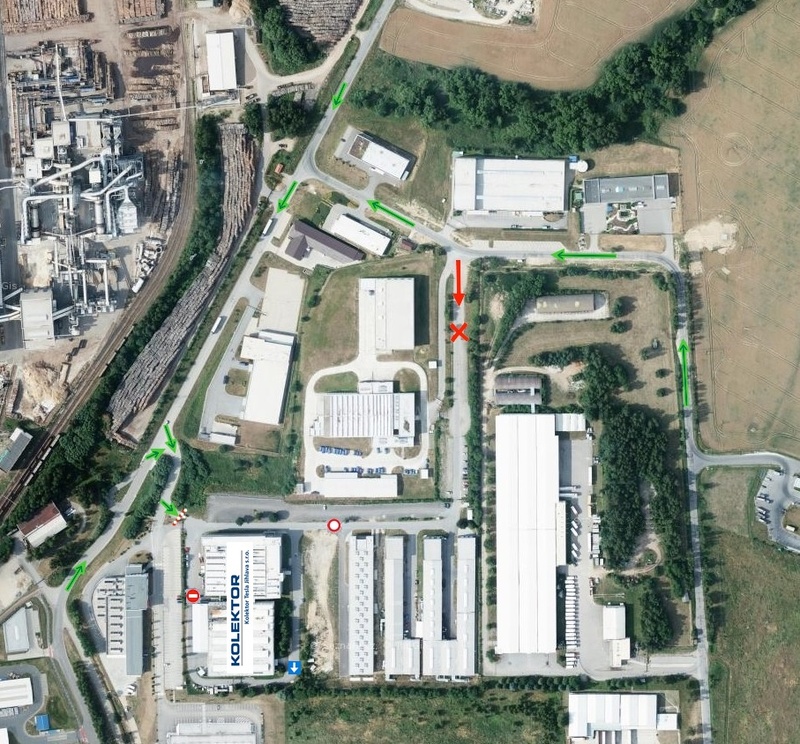 Since 2007 our company has been located in the new production area "indoor" in the industrial zone Jihlava and since 1.1.2018 we have became a part of a multinational company Kolektor based in Slovenian Idrija and we accepted the name Kolektor Tesla Jihlava s.r.o. Our goal is to produce high quality parts and subassemblies for the automotive industry. The satisfied customer will quarantee the further development of company and social security of staff. As of 1.2.2018, a new entrance to our company was put into full operation. The road to us has changed, as shown in the map on the right. The entrance has an automatic gate end barriers that distinguish between employees and others. These "others" (guests, suppliers or carriers) must report to reception by phone. The movement of vehicles in the area is limited by traffic signs and all drivers have to travel very coutiously also because of the increased pedestrian movement. All other data, including contact information, remaind unchanged. 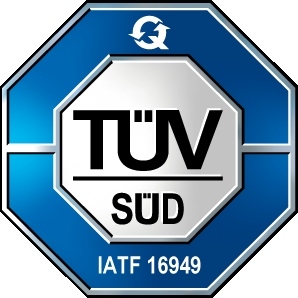 In October 2017, after a successful audit, we obtained a Quality Management Certificate IATF 16949 - 2016 for automotive industry. In addition to the quality management, we also own the ISO 9001 certificate and the ISO 14001 cerificate for environmental management. Two new ARBURG injection moulding machines with rotary tables were bought at the end of October 2015. 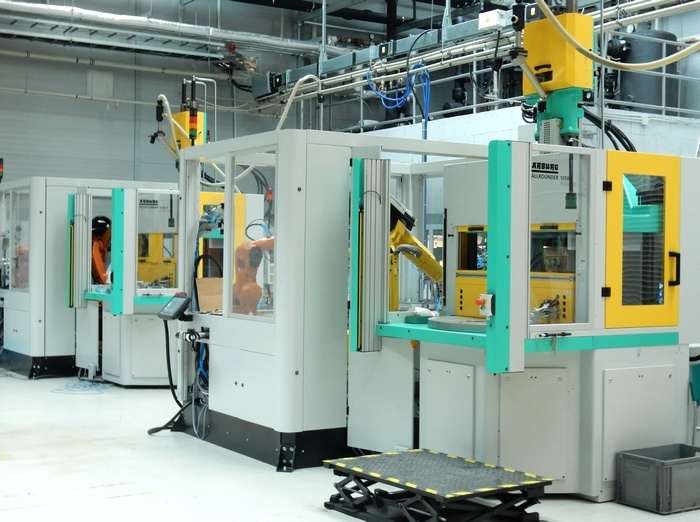 Both machines are equipped with automating components for fully automated production of hybrid parts. Since the beginning of October 2015 we have been preparing a set up of new silver and tin plating reel to reel galvanic line. New line will be equipped with up-to date managing and monitoring system and should be ready for production in the middle of 2016. 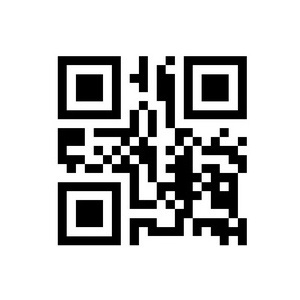 More than one year we have been using 2D codes in our raw material warehouse. 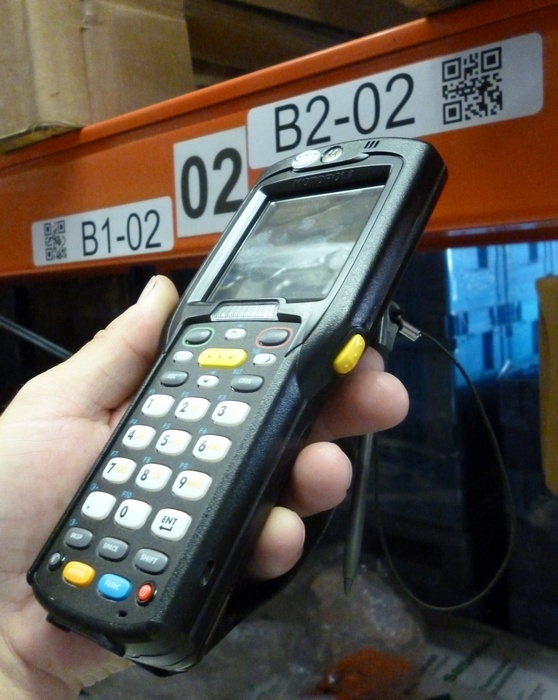 Material after income evidence and inspection is marked by label with 2D code, which can be read subsequently by PDA terminal (a portable hand computer). Now we can do any relevant operation in our information system on-line with reduced probability of mistake. The last phase of air-conditioning of the injection moulding department was completely finished at the end of September 2015. The second shop floor was also equipped with the air-conditioning units. Air-conditioning helps to eliminate negative influence of outer environment such as dust an high summer temperatures. This way we will improve the working conditions of our employees. 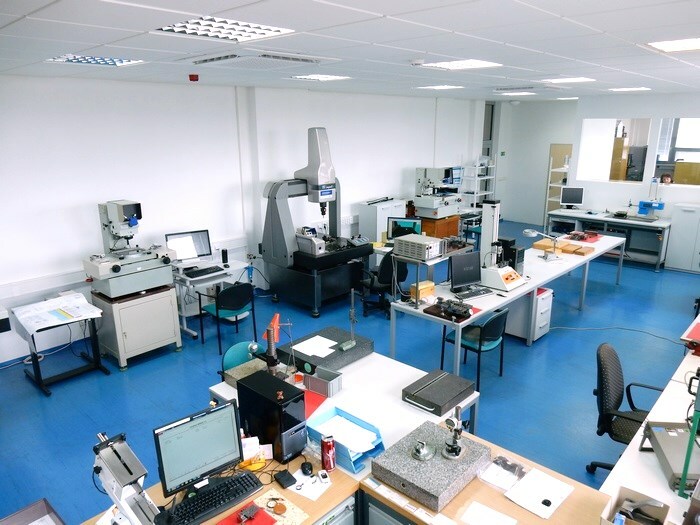 An electronic system for evidence of moulds and tools maintenance was implemented during September. This modul is an extension of our information system. Now we can easily follow the history of each and every mould and tool. We have precise information about the number of parts produced and also the information about necessary maintenance and repairs. 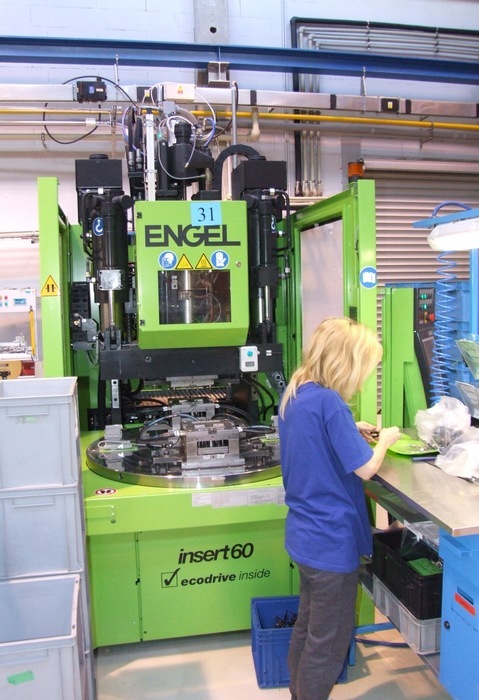 At the and of July, a new ARBURG vertical injection moulding machine extended our range of manufacturing equipment. The increased our ability to produce customer´s hybrid parts (insert of metal parts in plastic). We increased the capacity for silver barrel plating at the beginning of December 2014. 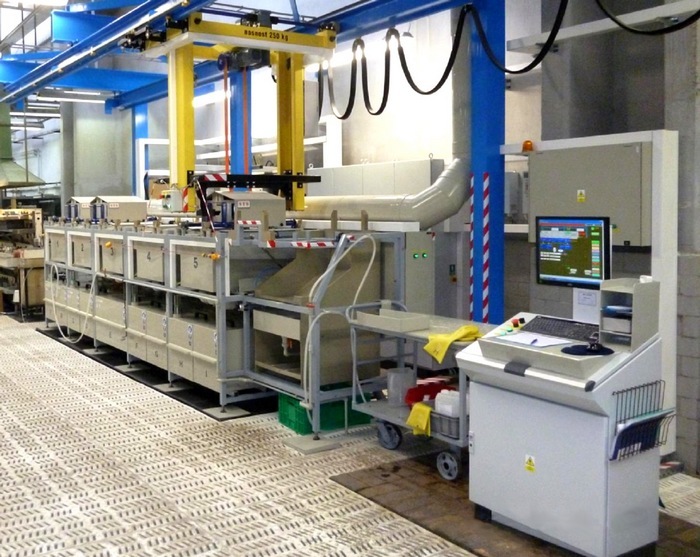 It deals with fully automated line, operated by a computer, where the parts made of copper and its alloys are coated by a silver layer in the vibration barrels. We offer you short delivery term and according to your request we can draw a protocol about measurement of thickness provided by X - Ray measuring device. Central drying of granulate system was installed in the second half of plastic injection shop early in June 2015, where is presently situated 9 plastic injection machines. We are able to achieve better energy efficiency, higher level of cleanness of enviroment and produced parts and increasing of space capacity. A implemented software Piovan WIN Factory continuous monitoring of the drying process allows the process of drying continuously. A spring party was arranged for employees of TESLA Jihlava, it took place in the outside garden area of Bueno Vista restaurant on 6th June 2015. Atmosphere was pleasant, food excelent and people had a good time until early morning hours. 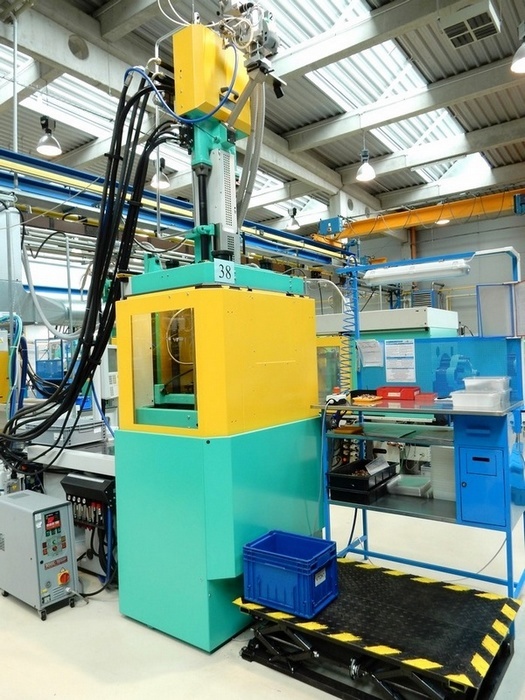 A new injection moulding machine Arburg 370S-700-170 was obtained for plastic injection shop on 29th May 2015. On 28th. 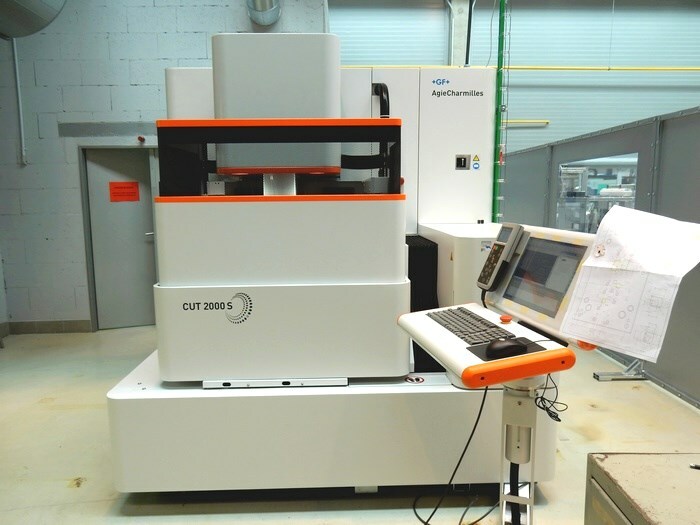 May 2015 our tool shop machine pool was expanded by a new wire EDM machine GF CUT 20005. The ultra modern wire EDM assembly line meets the highest criteria and will increase our ability to produce high precision spare for moulds and stamping tools. The measuring department was moved closer to the testing laboratory in the midle of May 2015. The reason was achieving higher flexibility, speed of work and capacity utilization. The 15th season of the competition for the best sportsman of 2014, was held on 19th March 2015 in DKO Jihlava, Company TESLA Jihlava was a general partner of this event. A new department - "Tool room and technical services" was created from 1st March 2015. This new division deals with maintenance of all the machines, production tools, assembly and controlling devices. Maintenance will be centralized, which will enable to increase its flexibility and to improve cooperation with other divisions of the company. 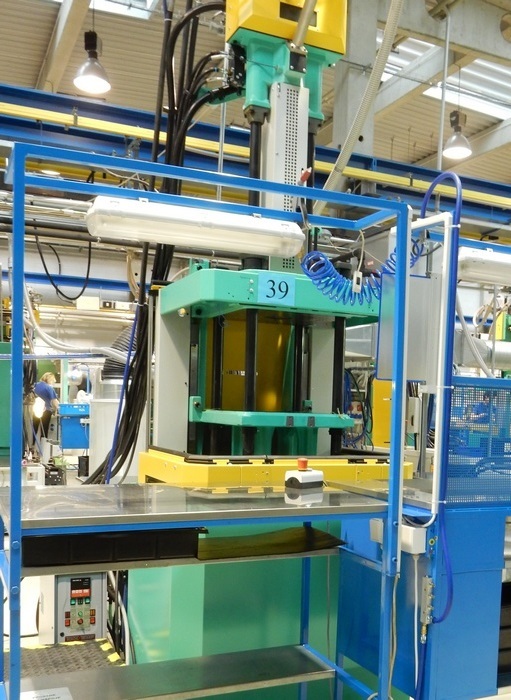 During January 2015 we purchased three new injection moulding machines, produced by the company Arburg. We extended equipment of our shopfloor of plastic moulding by another two lines. Concretely two injection machines - Arburg and Engel with a turntable. A new workshop of 100% electrical control has been under construction since January 2015. All related workplaces have been concentrated into this shopfloor, hereby we can gain free space necessary for the installation of new machines. We will create better working conditions, which include lighting, better manipulation with parts and possibility of better ergonomics at individual work stations. The company Christmas party took place at the former "TESLA" plant, current terraces of Jihlava on 13th December 2014 . The party was connected with the possibility of guided tour of renovated spaces of this complex. As usual it was arranged along with an excellent service such as delicious food and quality drinks while pleasant music was played for dancing. We began with the refurbishment of electroplating line reel to reel in October 2014 because of the fact that key parts of the machine became outdated and also because of the limited width of strips, which were possible to be processed on this line. In the future we will manage to coat strips up to width of 90 milimetres and we can also coat them by matt tin. 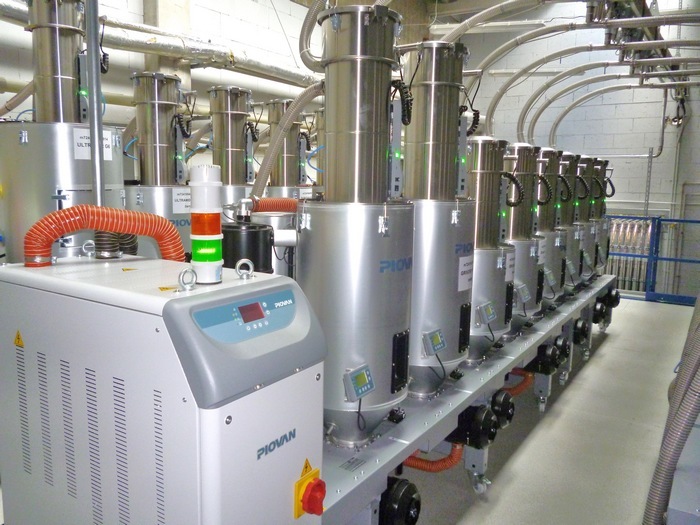 Concurrently some technological operations, which will increase reliability of preliminary treatment (specifically of grease removal), were added. 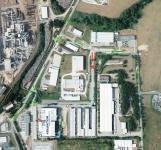 Due to the reconstruction of this line we gained wider range of options how to meet customers´requirements. 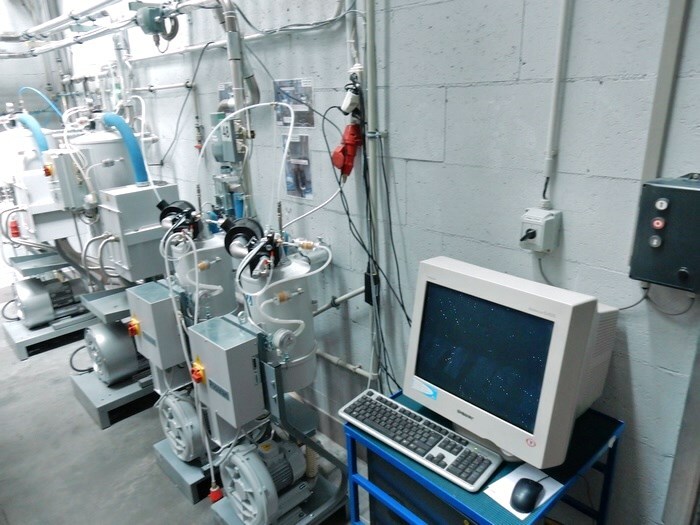 The project for ventilation of the moulding department of plastic was successfully finished in November 2014. 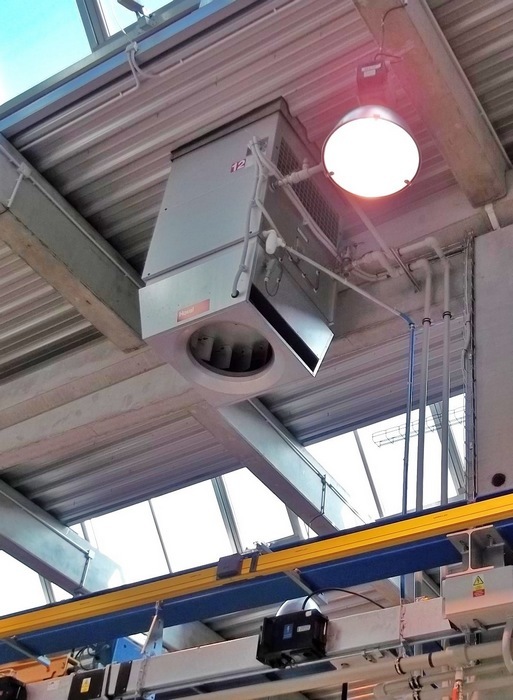 This device brings fresh air through filters, which contributes to higher cleanliness of the shopfloor. It enables circulatory system, which decreases emissions resulted from the production process and it laso lowers intake of outside dirtiness. The working conditions of our employees were also improved, who work in this hall - we remove cumulative heat from process in the production hall during warm months and recuperation of warmth by heating up supplied air during winter months. 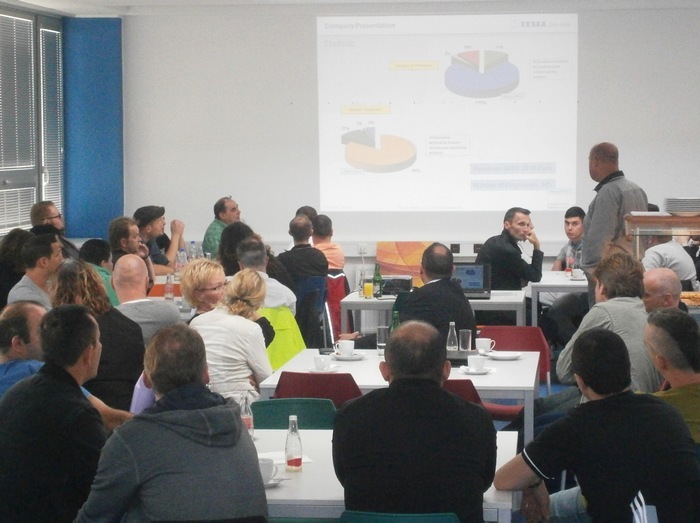 Our colleagues from our sisters´ company Conttek GmbH visited us on 3rd October 2014. They had the possibility to look around our production spaces. That day was finished by common dinner. 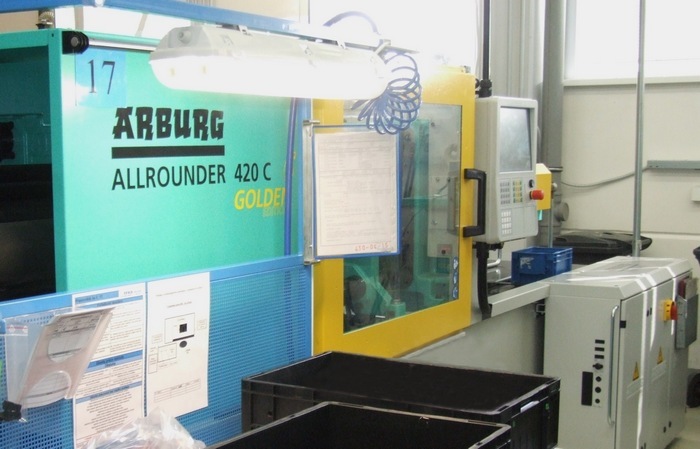 TESLA Jihlava purchased the new plastic injection press machine - Arburg 420C-1000-290 in September 2014. During 18th - 19th August 2014 the recertification audit according to ISO/TS 16949 standard successfully passed off in our company. Product quality assurance and hereby satisfaction of our customers is not just the matter of quality department or management of our company. We all participate in assurance of quality and each of us contributes by own work to our professional corporate responsibility. We would like to thank all those, who assisted in the successful course of all audit and they helped by their proactive attitude to problem solving. The spring company party took place in a stylish pub "Gambrinus Image". Cooks prepared a lot of various delicacies, recorded music played for dancing. Everybody enjyoed it, they left satisfied and they were looking forward to the next event. We purchased the wire cutting machine in June 2014, which enabled us to develop the technology of electro-erosive cutting of semi-finished products for spare parts of moulds and stamping tools. Local drying of materials at each machine was substituted by the central dryer with distribution into separated machines. Test running finished at the end of May 2014 and followingly this device was put into permanent operation. The main reason for purchasing of this device was to increase effectivity of drying and thereby reach energy saving of electricity, improvement of clealinness of working environment and elimination of single drying devices as sources of heat. 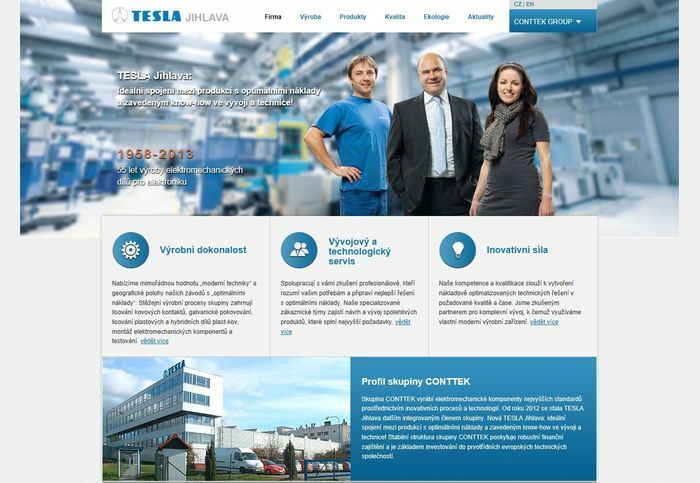 On 9.7.2013 we officially launched the website in a new design that is tailored to the membership of TESLA Jihlava, s.r.o. company in the CONTTEK Group. The content of the pages will continue to be updated on an ongoing basis, to help you in this way to provide new and useful information. At 1.10.2012 has been finished the merge of our company TESLA Jihlava, a.s. in the company Boredo one, s.r.o. At the same time the name of successional company has been changed to TESLA Jihlava, s.r.o. Videlicet the legal form of our company, ID number and VAT ID has been changed in the given date. Next dates, such as location, phone and fax numbers, bank accounts, website, etc., remain the same (without change). Details about this change you can find in the encolsed documents. In February 2012 company TESLA Jihlava became a member of CONTTEK group. Group CONTTEK is well-know German producer of hybrid components (metal - plastics) and precise stamped parts for automotive and electroindustry. There will be no change for current customers with this step as whole production range remains unchanged. TESLA Jihlava will further develop plastic injection moulding and related processes acording to its strategy. All other entries (VAT-ID, phone numbers, ...) remain unchanged.